The Canis and Banes packs of werewolves have been feuding for centuries. The Hatfields and McCoys were a tea party in comparison. Until Marrok Banes, the Alpha of his pack, decides to end the fighting with a marriage of convenience. Never mind that he can’t keep his hands off his gorgeous new mate. Tala Canis is the new Alpha of the Canis clan, the first female to claim that right, a position hard fought and won. For the sake of her people she agrees to wed Marrok. Never mind that the Alpha, once her enemy, makes her body flash heat with a single look. But after the mating ceremony, Marrok only seems interested in one thing…taking over their combined pack while leaving Tala out of the loop. If her Alpha mate can't learn to share, then it’s time to show him exactly why she's an Alpha herself. 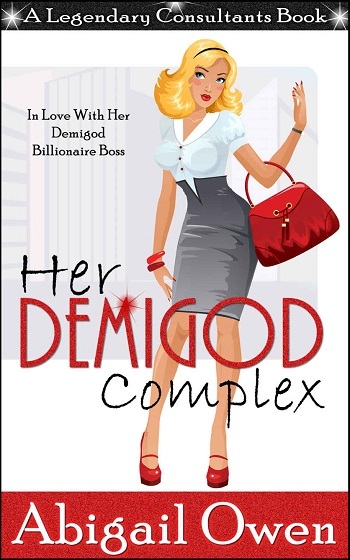 I was so charmed by Her Demigod Complex and I was totally looking forward to reading the second book in the Legendary Consultants series, which did not disappoint! The Worse for Were takes place in the same universe as Her Demigod Complex and follows the same timeline, but features a different couple. Tala Canis, the first female Alpha of the Canis pack, and Marrow Banes, Alpha of the Banes pack, have decided on a marriage of convenience in order to stop the centuries long feuding between their two packs. Luckily, it seems like the whole marriage of convenience won't be too much of a hardship. Now, together they'll Co-Alpha their combined packs, assuming Tala's Alpha mate can learn to share. I have to say that I was just as smitten with this story as I was with Her Demigod Complex! I was totally hooked from the first chapter and I think readers will have no trouble devouring book two. Tala was such a strong, independent female character and Marrok was a perfect match for her. 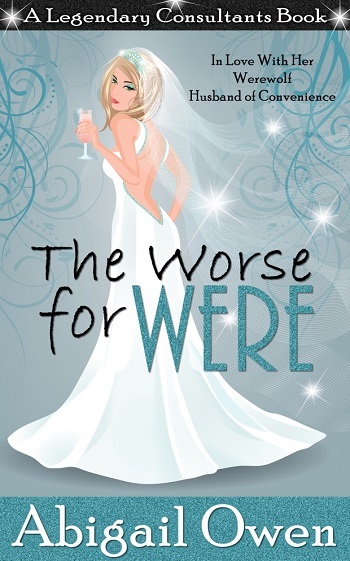 The Worse for Were, like book one, is a quick short read, but definitely has all the elements I love to see in a paranormal romance. I would encourage those who are interested in reading this book to read Her Demigod Complex first because the story flows much better when they're read as a unit. However, both can be read as a standalone. I can't wait to read more from Abigail Owen and all her lovely characters in the Legendary Consultants series! *** I give it 4 stars! Reviewers on the Wicked Reads Review Team were provided a free copy of The Worse for Were: In Love with Her Werewolf Husband of Convenience (Legendary Consultants #2) by Abigail Owen to read and review.